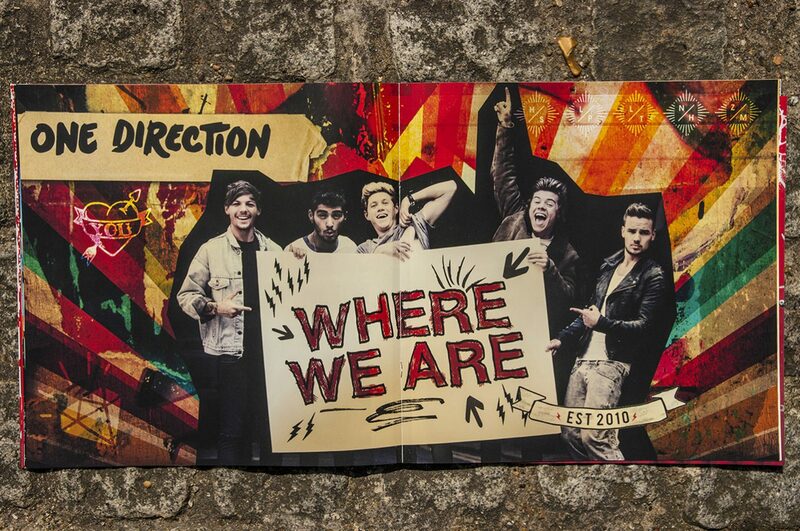 We were thrilled to again be asked by Global Merchandising Services to design the 2014 ‘Where We Are’ tour programme for the biggest pop band in the world! 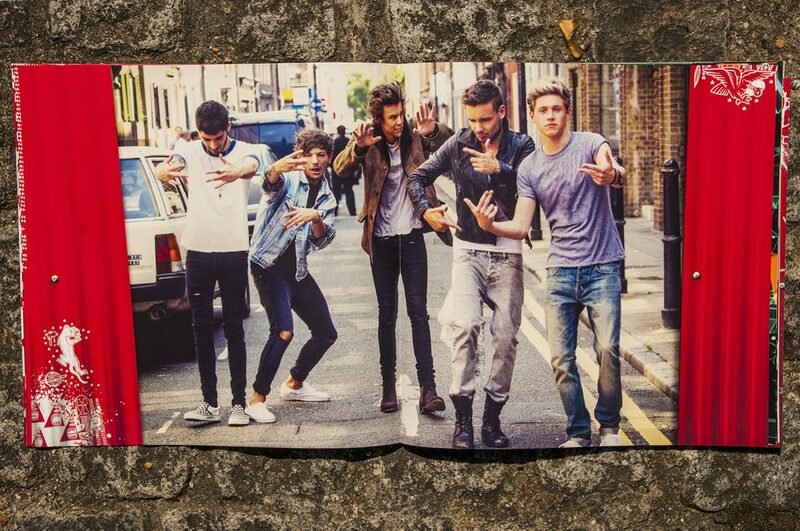 ONE DIRECTION!!! 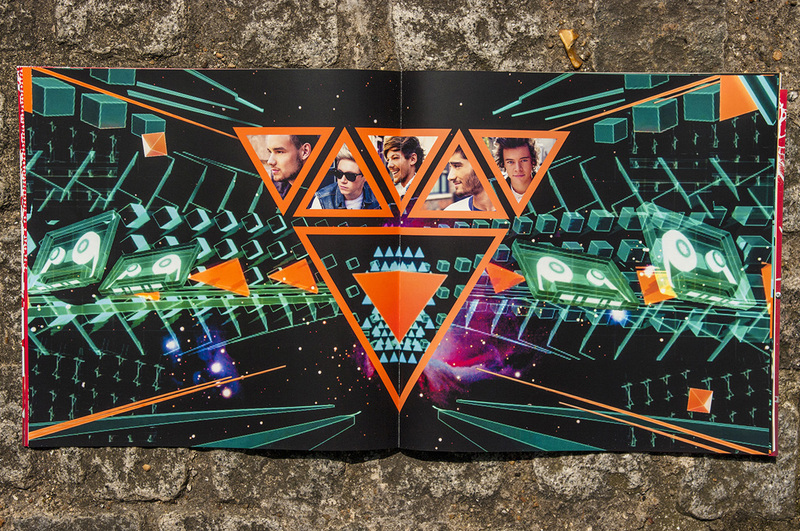 We had access to some amazing stage videography and stage graphics so we created graphics that complimented what the fans would see live on stage. 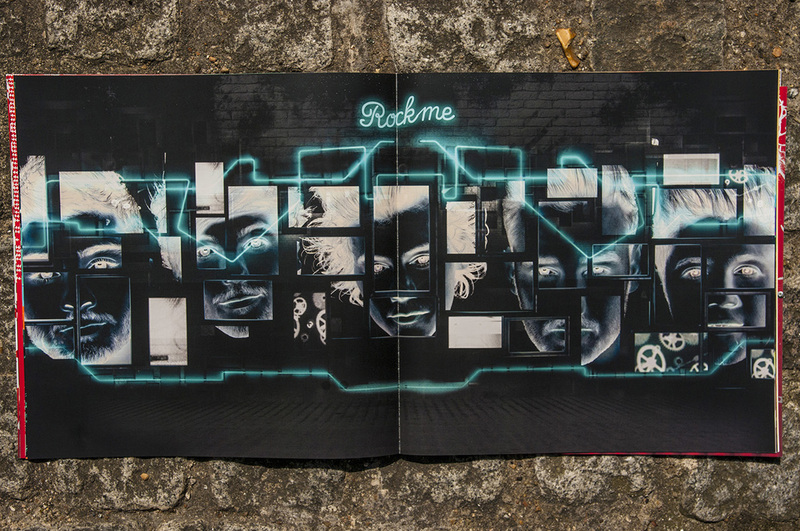 We created Neon graphics and also a very Shoreditch vibe stencil/montage page for each of the boys, that really went down well. 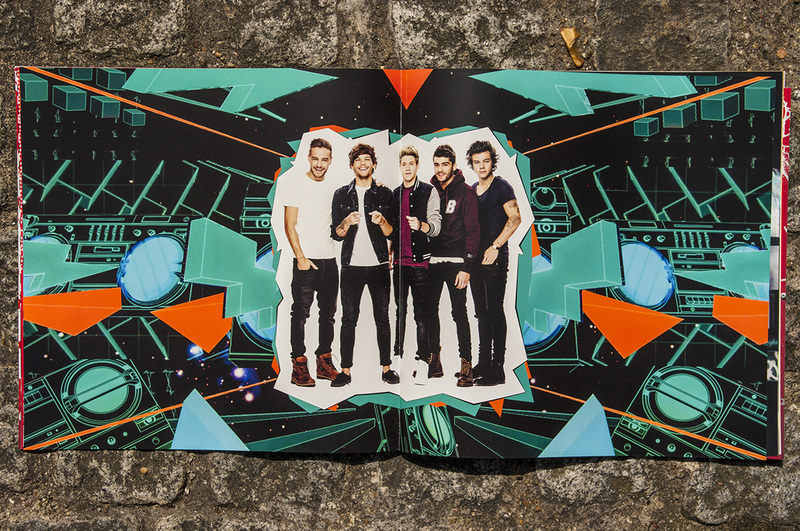 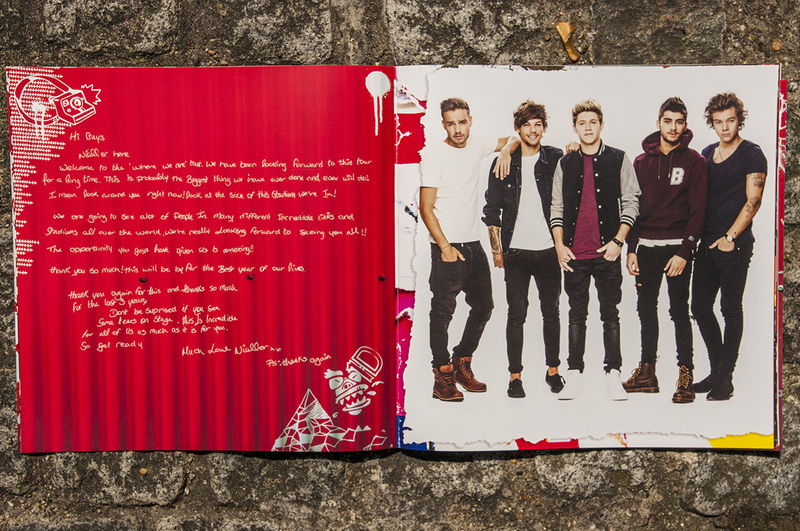 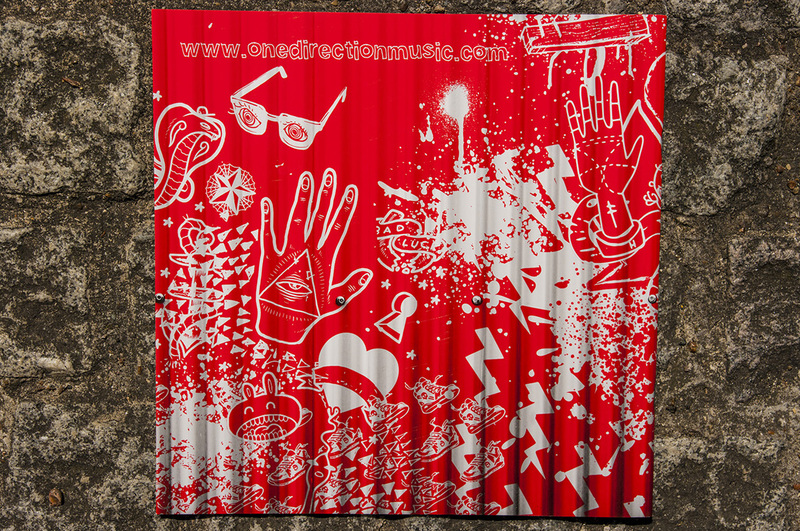 We also used some cool illustrations provided by Zayn. The brochure was used for the whole world tour, so can be found in many homes world wide.